The beautiful township of Scugog is in the Great Toronto Area and most of the people residing in Scugog commute daily to work in Toronto. When these people find that their home is affected by pests, their day-to-day life gets disbalanced because they can’t find a way to manage the pest removal and work together. Not only these people, everyone gets annoyed from infestation. The best solution of such situations is to get preventive measures before any pest invades your property. The experts from Mega Pest Control identifies the presence of pests in your property and effectively exterminates or control them. The unwanted wildlife is treatedin a more humanely manner. Many people when find infestation in theirpropertyor hometries to get rid of it on their own but most of the time they fail. The reason for this is using the traditional methods to control pests. Sometimes, lack of knowledge leads them to hospitals. People who avoid wearing masks and use toxic chemicals to treat infestation sometimes get in trouble. We can promise you that our experts will completely remove the infestation from your property and professionally seal the entry paths so that this mishap won’t repeat. You yourself can hire us and experience the best service. We believe in doing the work in an organized manner. So, we first examine the situation of your property and then make an action plan according to the severity of infestation. Finally, we execute that plan in the safest way. This execution is only possible because of the vast knowledge and experience we hold in getting rid of pests. 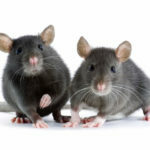 If you are a property owner, your concerns about pests are viable. Always remember not to deal with infestation on your own. The chances of failure can’t be ruled out. Moreover, if you do not have proper knowledge about which non-toxic and safe chemicals to use, your health might severely get damaged. You can always trust the pest control services of Mega Pest Control because we are licensed by government to undertake such preventive measures. For us, customer satisfaction is always the priority and our experts do not leave your property until infestation is completely removed and all the preventive measures are applied. Our affordable services can be accessed any time and any day of the week. You will always find us ready to serve you!